A cutting-edge, pulsating hip-hop destination and prototype design was created for Active Warehouse to connect with its customers’ identity. 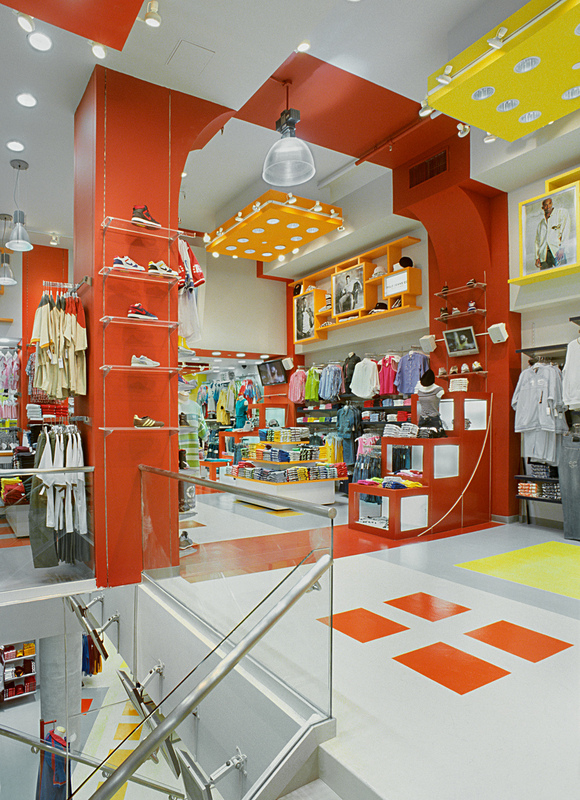 This energetic store is located on the ground floor of a NYC landmarked building in the heart of the shopping mecca that is NYC’s SoHo. 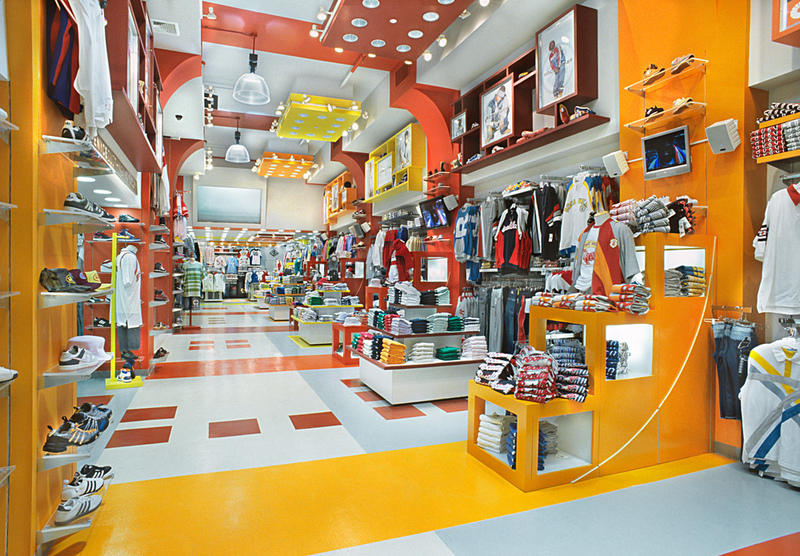 Shoppers are drawn in by the high-impact bright décor with a focus on the urban youth market. 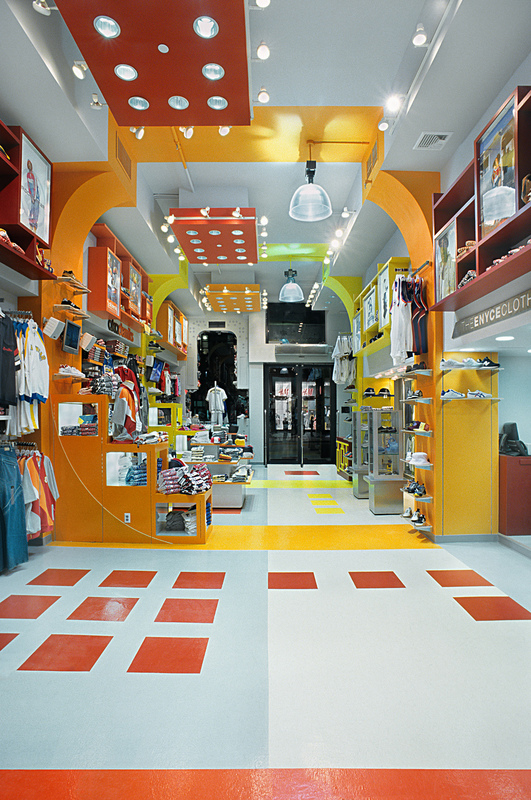 Merchandise zones were defined through the design of custom fixtures with integral light boxes and vivid bands of color that carry through from floor finish to wall and ceiling finishes.